I slumped into the orange and gray subway seat, too tired to care about the grime permanently encrusted on the surface. I’m no stranger to emotional breakdowns on the A train — I carry a pair of sunglasses in my tote for the dedicated purpose of hiding crying jags on public transportation. But it felt like the last piece of my heart had finally snapped, and there was nothing left to cry about. It wasn’t just a bad day or month. It was a season that started as soon as my hair dried from the waters of baptism on Easter 2011. Can we be real? It’s only beginning to change now, 3.5 years later. I’d like to say that there was a miracle that made everything better. It took — is taking — work. Relationships had to be severed. Habits destroyed. I had to learn to see myself with the mind of Christ and not my own understanding. 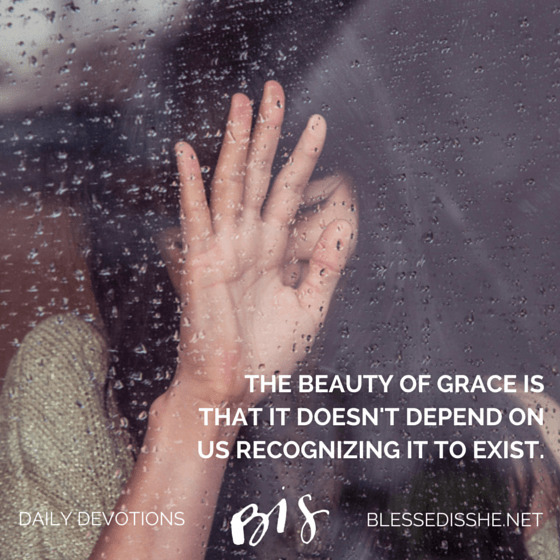 I had to encounter Grace in the sacraments, even when I could pray “I believe, help my unbelief.” But gradually, even though some situations stayed the same, I began to feel hope. You may not feel that faithfulness and love or grace right now. You may not feel loved or lovable, or think that there will ever be a day that feels better than this day right now. The Lord who “raises up all who are bowed down” might seem like a myth. That is okay. It is so, so okay to admit that it is hard. 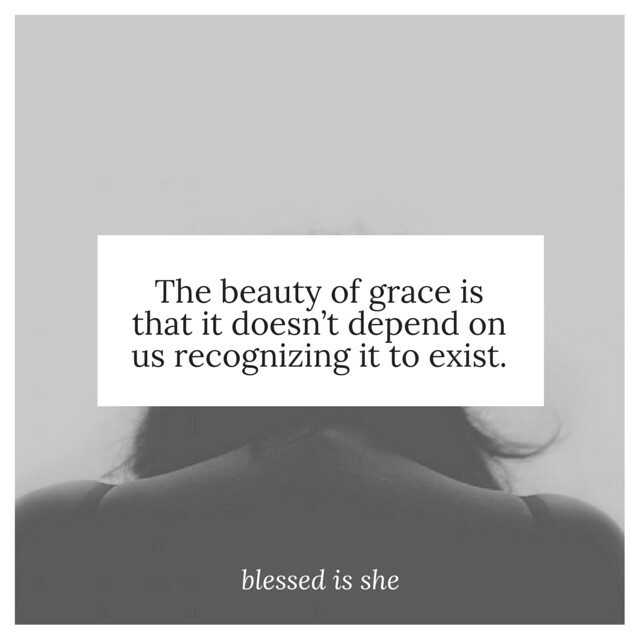 But the beauty of grace is that it doesn’t depend on us recognizing it to exist. Is there a lie you can begin exchanging for truth? How can we view ourselves with the mind of Christ and recognize His faithfulness? Kassie Rutherford is a dancer, fiction writer and editor from Texas currently relocating from LA to NYC. You can find out more about her here.